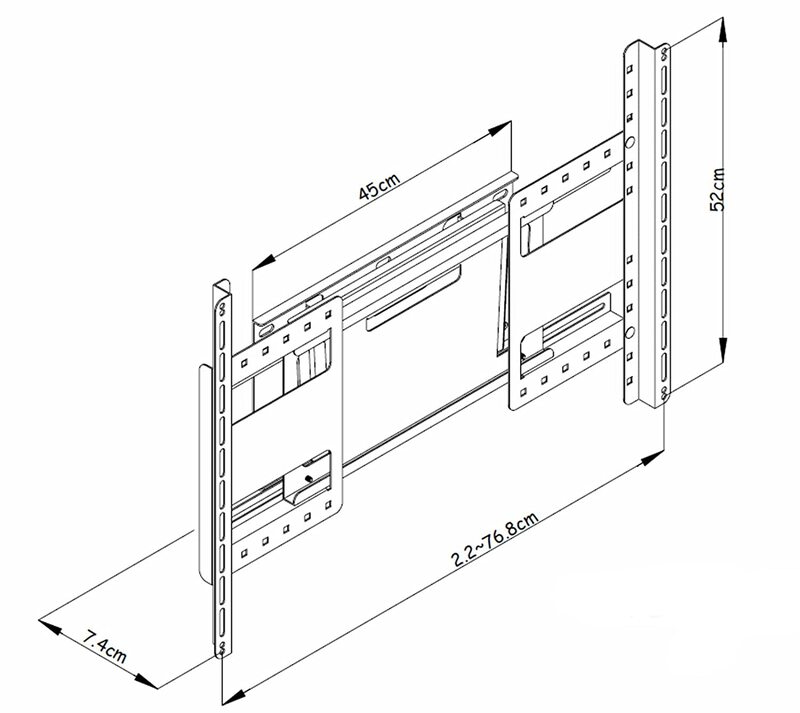 The Allcam PLAW-400 TV bracket is suitable for all 26" to 63" Plasma/ LCD/ LED TVs with mounting hole spacing less than 600x400mm (23.6"x15.7", Horizontal x Vertical spacing). It fixes your TV very close to the wall and offers the flexibility to tilt your TV up to 20 degrees to help achieve that perfect viewing angle. The Allcam PLAW-400 is ideal if you would like to save space by wall mounting your LCD/LED/Plasma TV. All the fixings you will need for the wall and TV are also included in the package. Two different sized mounting rail rail sets are provided with this product. If you need to use a smaller TV you will use ther 310mm rail, while for a larger TV you can use the 520mm one. This is a very nice feature as it gives you great flexibility to mount a very large range of TV sizes. The Allcam PLAW-400 is a basic model in our 2015 range of Plasma/LCD/LED TV wall brackets that have been carefully designed by us. Filled with our 10 years of experience and expertise in the trade, these new TV brackets come with not only our usual 5 year guarantee but also GBP1000 quality assurance protection for any TV mounted on it. All wall-mountable TVs have 4 threaded holes at the back, the spacing (both Horizontal and Vertical) between the holes decides which wall bracket are compatible. VESA standard specifies a series of standard hole spacings, for example VESA 200x100 means Horizontal spacing is 200 mm while Vertical one is 100mm. If your TV 's mounting holes have a spacing within 600x400 mm (23.6"x15.7", Horizontal x Vertical spacing) then it is compatible with this TV bracket. 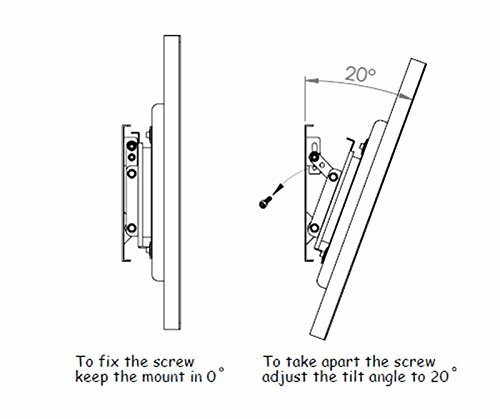 Around 95% of all 26" to 63" LCD LED TVs have mounting holes in this range.